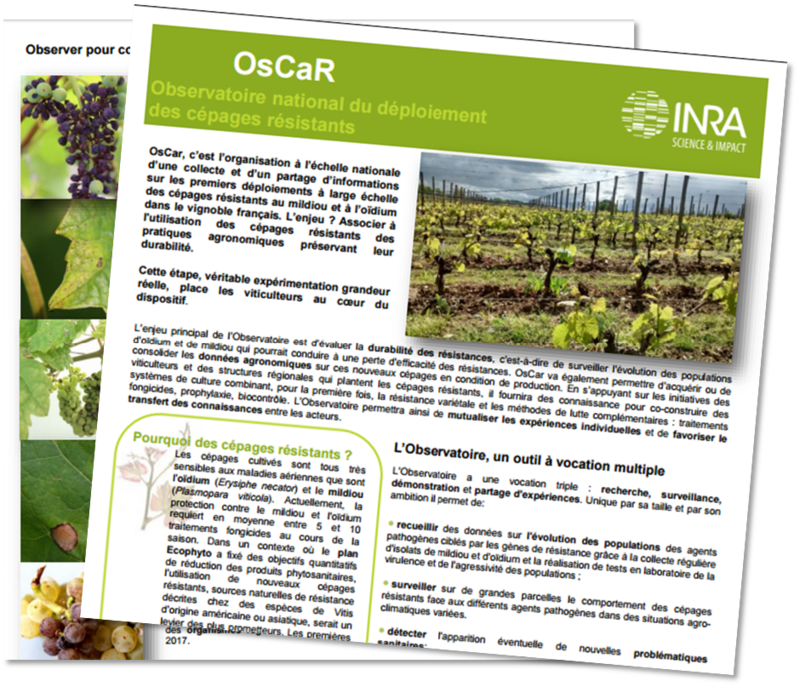 Bouquet A, 1980 Vitis x Muscadinia hybridization : A new way in grape breeding for disease resistance in France. Proceed. 3rd Int. Symp. Grape Breeding, Davis (Cal. ), pp 42-61. Merdinoglu D, Wiedemann-Merdinoglu S, Coste P, Dumas V, Haetty S, Butterlin G, Greif C (2003) Genetic analysis of downy mildew resistance derived from Muscadinia rotundifolia. Acta Hort, 451-456. Pauquet J, Bouquet A, This P, Adam-Blondon AF (2001) Establishment of a local map of AFLP markers around the powdery mildew resistance gene Run1 in grapevine and assessment of their usefulness for marker assisted selection. Theor. Appl. Genet. (103), 1201-1210.